What’s most important to you as a law firm? Billable hours? Privacy/security? Cost containment? If your answer is “all three,” then it’s time to consider moving to a hybrid cloud IT solution. Support for an increasingly demanding and mobile workforce: Attorneys are constantly outside the office, be it at court, a client site or simply traveling to the next meeting. Anything less than instantaneous access to critical case files and legal data is not acceptable. Convenience and ease of use are also critical requirements as they seek to increase billable hours. Information at your fingertips: Attorneys need access to data that is some of the most sensitive imaginable, ranging from personal client data, and privileged information on upcoming mergers/acquisitions to client intellectual property (IP) and more. Cost containment: As it’s not a core competency, there are few law firms that have the staff in-house to support leading-edge IT. In fact, law firms are some of the most under-resourced when it comes to technology support, leading to antiquated systems that are increasingly difficult to maintain, manage and secure with so few resources. Security client privacy and data: It’s hard to come up with an environment more ripe for attack and hackers are taking notice. Without the right controls in place, law firms are increasingly viewed as the next big cyberattack opportunity, a one-stop shop, where they can siphon off a wealth of lucrative data, quickly, easily and usually unnoticed. As more organizations make the move to the cloud, they are questioning the role their managed services provider (MSP)plays within their overall IT strategy. Far from reducing their dependence on managed services, however, smart organizations are realizing that careful leveraging of an MSP is critical to their cloud success. Once seen strictly as a way to reduce infrastructure costs or offload mundane IT tasks, today’s MSPs have morphed to become true business partners, especially for organizations making the leap to the cloud. New research from CompTIA finds that just 30% of MSP users cite cost savings as a primary driver today, down from 57% just last year. Instead, organizations expect far more from their MSPs, moving beyond simple endpoint or server management to higher level information/data management. They increasingly want their MSPs to manage disparate on-premise, cloud, social and network services, and more just over half (52%) say they have worked with an MSP on their most recent cloud initiatives. 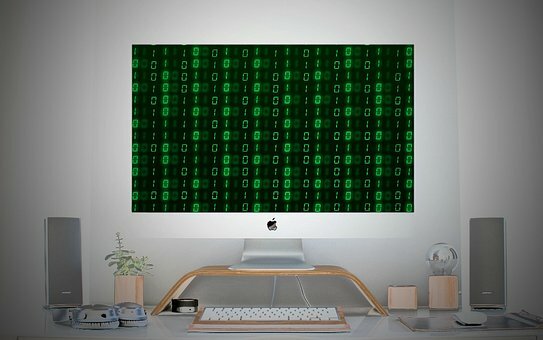 Now that you know ransomware attacks are on the rise we thought it would be useful to share some real world examples of just how sneaky these email threats can be. Below are three suprisingly common examples of how a cybercriminal can use your own email against you. Even Yahoo! wasn't safe from an email attack. Where is the Cloud Headed? Not too many years ago, few companies were brave enough to run their mission-critical business applications in the cloud. Fast forward to today, and you’d be hard-pressed to find a single company that isn’t using cloud computing in some form or another – and some that are actually running their entire business in the cloud. With such a rapid rate of change, how can today’s enterprises (and their IT organizations) keep pace with the cloud and ensure they capitalize on it going forward? What’s behind the mass appeal of the hybrid cloud model? Here’s the deal: many organizations still rely on their on-premise, legacy systems but want to take advantage of the cloud. Reasons such as cost, complexity and security prevent organizations from a full cloud migration. At the same time, IDC reports that 92 percent or organizations have digital business initiatives; 90 percent called digital business “a top IT priority”, and 44 percent called it their number-one priority. In today’s hyper-connected world, email-based communications are not just commonplace – they are a fundamental cornerstone for effectively conducting business. Emails offer hackers a vehicle to exploit a variety of vulnerabilities in an organization and we want to make sure you’re protected.